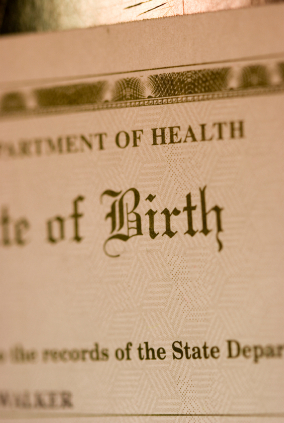 Time was when high-quality paper and ink were enough to prove an official document such as an insurance policy, birth certificate, or check was really official. Not anymore. Nowadays, digital printers, scanners, and image-editing software make it easy for just about anyone to reproduce just about anything right at home, making it harder to tell the legitimate documents from the fakes. Scientists at Xerox Corporation’s Webster, N.Y. research laboratories are adding intelligence to ordinary paper in order to outsmart counterfeiters. They are developing new ways to make documents forgery-proof using standard xerographic and steganographic techniques. The technologies include GlossMarks, PrinterMarks, and DataGlyphs. How do they work? Take Glossmarks, for example. What meets the eye may be a typical high-quality photograph—a credit card ID, for example. However, if it has been protected by Glossmarks technology, rolling the photo back and forth under any light will turn up hidden authenticating marks. Using a special combination of halftones, toner, paper, and fusing to distribute different levels of gloss on the page, Glossmarks wind up looking a lot like holograms. Xerox scientists currently are developing Glossmarks to work on different printing devices and a variety of media. Some of these technologies rely on xerography and others on steganography, the science of embedding one bit of information into another. PrinterMarks are based on a collection of Xerox technologies that use correlation and interference. Two correlated halftone patterns are printed together with some spatial displacement between them. To the naked eye, PrinterMarks look like a normal image. However, a simple assisting device, such as a plastic grate placed over the image, reveals a secret message in the patterns. Finally, DataGlyphs, an innovation from Palo Alto Research Center, a Xerox subsidiary, also find a use in making documents more secure. DataGlyphs encode computer-readable information in a document through glyphs, tiny slashes that represent binary code. Currently, DataGlyphs can be used to reduce check forgery by cryptically guaranteeing that the information on a check has not been tampered with and that the signature matches the one on file with the bank. Although the aim of GlossMarks, PrinterMarks, and DataGlyphs is to authenticate and secure valuable documents, Xerox forsees their potential use in other applications as well, such as advertising, marketing and promotion. One example might be coupons that link a person to a specific dollar amount that is unique to that individual.